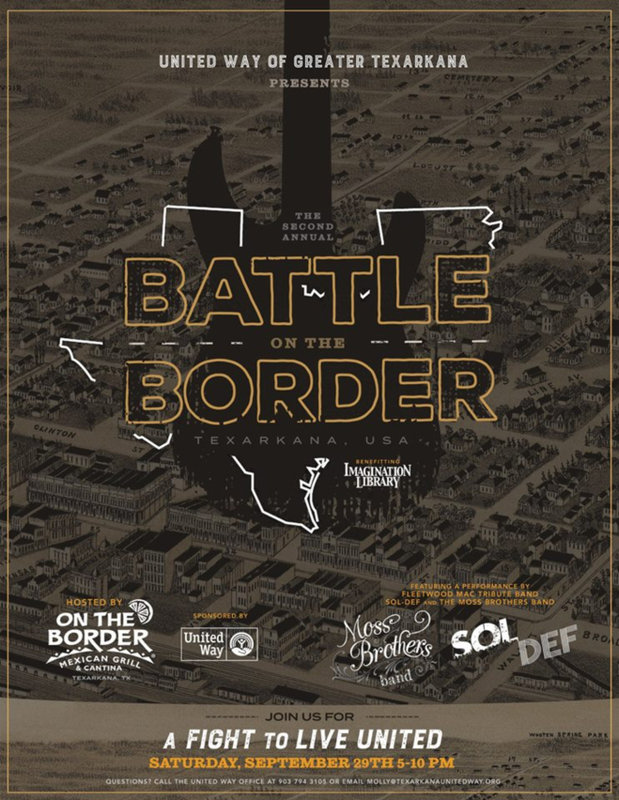 For the second year, the 2018 “Battle on the Border” fundraising event for the United Way of Greater Texarkana takes place at On the Border Mexican Grill & Cantina in Texarkana on Saturday, September 29. This year;s show will feature the Fleetwood Mac Tribute group, The Sol Def Band. This event is a United Way of Greater Texarkana fundraiser. We will have food, drinks, and 2 bands play. The Moss Brothers will open for Fleetwood Mac tribute band, Sol Def. Both bands are phenomenal. All proceeds benefit our Dolly Parton Imagination Library Program. A program which provides newborns with books up until their 5th birthday. That’s a total of 60 books. This is a great program that benefits children right here in the Greater Texarkana area.